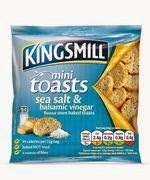 Kingsmill have introduced a new addition to their expanding range. They already have breads, rolls, flatbreads and pancakes to name a few. 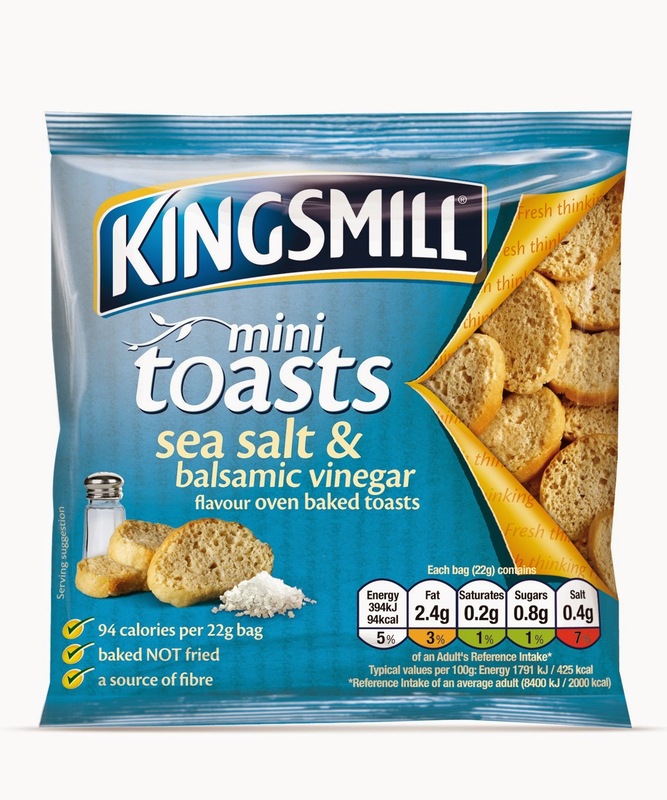 But now they're entering the snack market with 'Kingsmill Mini Toasts'. 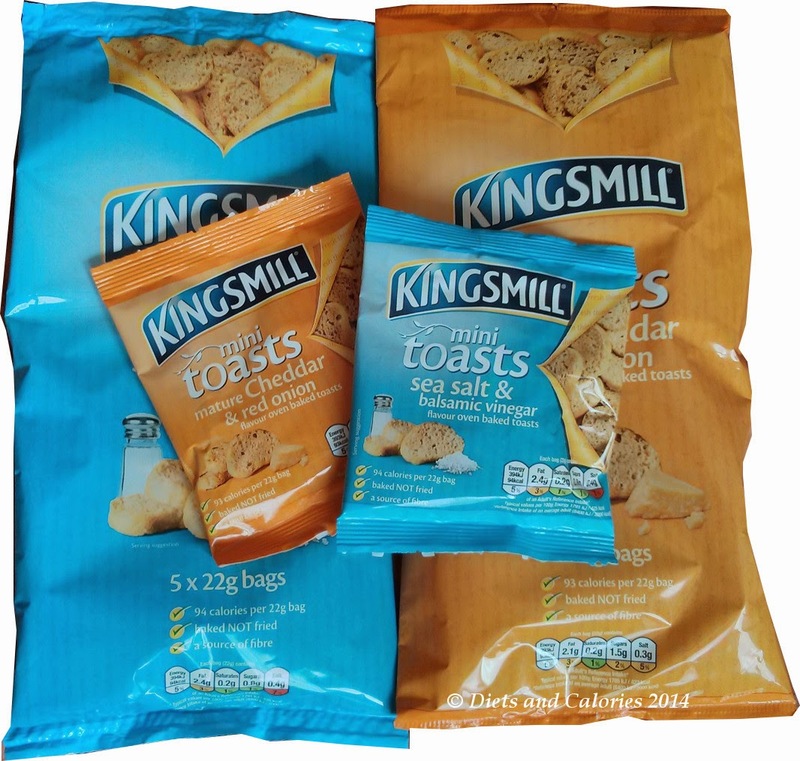 Kingsmill’s Mini Toasts are baked rather than fried, and contain 93 or 94 calories per bag depending on which flavour you buy. At the time of writing they are available in two varieties: Sea Salt & Balsamic Vinegar and Mature Cheddar & Red Onion. I was asked if I’d like to review these mini toasts, and since I’m all for snacks around the 100 calorie mark, I was more than happy to do so. I received a couple of packs – one of each flavour to try out. They are available as multi packs of five x 22g bags. Each little bag contains around 15-20 mini toasts, although some of mine were crushed – no doubt due to their hazardous journey through the postal system. I started off with the Cheddar Cheese variety. They're dotted with tiny specks of red onion and smell strongly of cheese. I found the first few bites quite intense on flavour with a strong cheese taste. They’re very crunchy and make a good alternative to crisps. The Salt & Balsamic Vinegar were even more of an assault on the senses. As someone who rarely eats crisps and doesn't add salt to anything, I find the saltiness of these types of snack a bit overpowering. But as I continued munching, I started to notice the bready taste coming through – more so with the Salt variety than the Cheddar. I passed them around the family and they got a thumbs up from everyone, young and not so young. My kids were very keen that I include them in their lunch boxes. Although the pack suggests serving them with a dip as an alternative, I’d prefer to see a plain variety with less salt for dipping purposes. 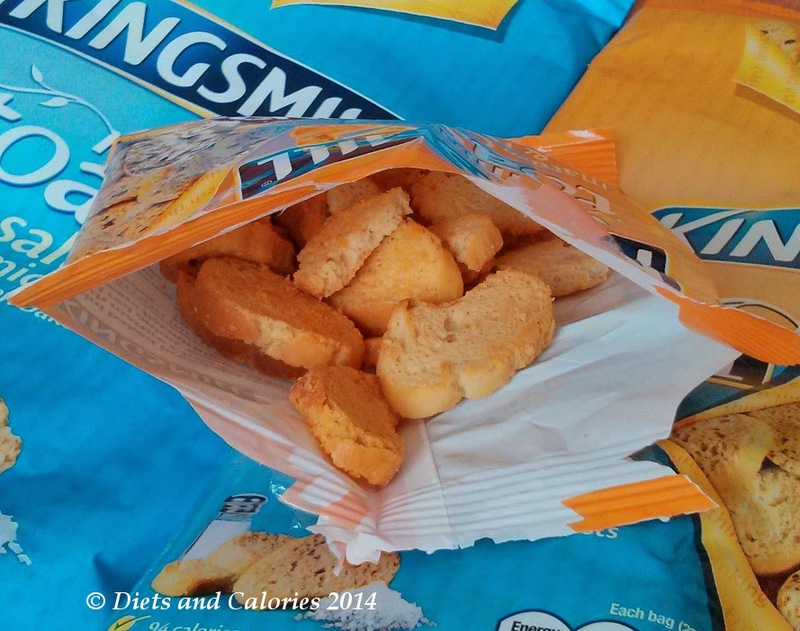 I think anyone who enjoys snacking on crisps would enjoy Kingsmill Mini Toasts. Because they’re all portion controlled in 22g packs and have less than 100 calories, they could be an option for those looking to cut down on calories but are tempted by the lure of the crisp packet. Available now in Tesco for £1.59. Nutrition information per bag (Sea Salt & Balsamic Vinegar) 22g: 94 calories, 4.9g protein, 14.9g carbs, 0.8g sugars, 2.4g fat, 0.2g saturates, 0.8g fibre, 0.44g salt. 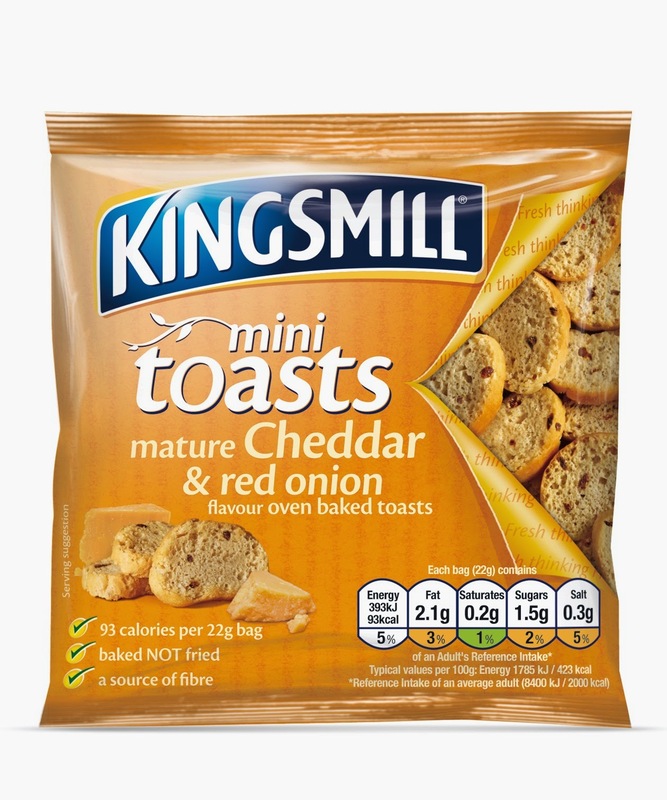 Nutrition information per bag (Mature Cheddar & Red Onion) 22g: 93 calories, 3.0g protein, 15g carbs, 1.5g sugars, 2.1g fat, 0.2g saturates, 1.2g fibre, 0.28g salt.